Mayer Law Office, LLC is a criminal defense and family law firm located in downtown West Bend, Wisconsin. Our firm is dedicated to help protect the rights of others efficiently and affordably. 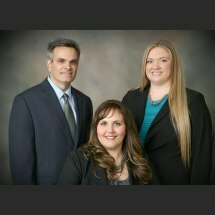 We offer a variety of services ranging from traffic violations to sexual assaults and from simple divorces to custody and placement disputes. The attorneys of Mayer Law Office, LLC handle cases statewide, including, but not limited to, Washington, Dodge, Fond du Lac, Ozaukee and Waukesha Counties.